Absolutely dreadful. If we do host the Commonwealth Games, this arena would need a complete rebuild. Hopefully they can easily reuse the canopy for something else, because it looks like a complete waste of money right now. I think it looks fine, but if this upgrade goes ahead, would it still be viable to build a multi-use arena elsewhere? As in, do we also need a tennis/basketball/netball/concert facility of 12-15,000 capacity? If that were also built, perhaps having two significant show courts would help us attract bigger tournaments. But this pretty poor vision/politics from SA Liberals - with a hotly contested federal election round the corner, they could have put the hat out for contributions. Last edited by SRW on Sat Feb 02, 2019 1:16 pm, edited 1 time in total. From a purely tennis perspective - it's a much needed upgrade to finally put the WTC out of it's misery. Given Tennis Australia are saying it will be a combined ATP/WTA event, it looks like Perth's won the rights to the ATP Cup group matches - perhaps a reflection on this upgrade not being enough to get the ATP Cup. If we've missed out on the ATP Cup, the upgrade hasn't been enough to get us the world's elite mens players. Yep, we'll get some quality mens players, and almost certainly some up an coming mens Australian players, but the ATP event will almost certain play second fiddle to the ATP Cup. On the flip side, we potentially could get some big name female players to the WTA event - getting to see a Williams sister or a Naomi Osaka at Memorial Drive will be awesome with this upgrade. Not sure what concerts it will attract though, unless it will take concerts that currently play at sites like Botanic Park and Bonython Park. It'll be too small for big name acts. This Government is kidding themselves if they believe this is going to attract all these events to Memorial Drive. The whole thing needs to be flattened and rebuilt. It’s an embarrassment. Quite the contrary....... from today's Advertiser. South Australia will host the world’s best tennis players from 2020 in a new tournament leading up to the Australian Open — with the ATP event to have a multimillion-dollar prize purse. The new, 10-day international tournament will be held in January ahead of the Australian Open and will play host to top 120 male and female players. It will effectively replace the Sydney International. The South Australian event will have a total prize purse of $2 million, Tennis Australia chief executive Craig Tiley said. “We have been working on this for a couple of years. It is a complete shake-up of tennis in Australia,” he said. 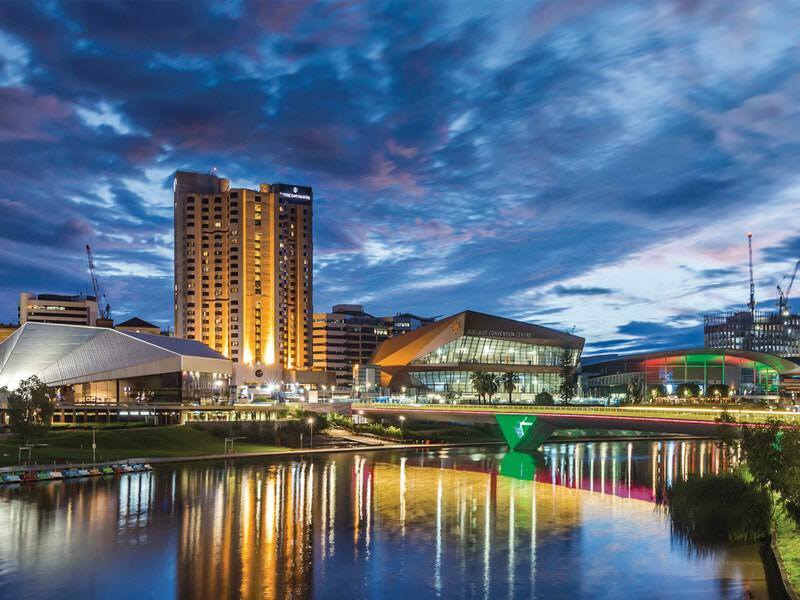 The tournament will run in Adelaide for at least the next five years. On Saturday, The Advertiser revealed the Memorial Drive Tennis Centre will be covered with a new roof as part of a $10 million upgrade. The 5000-capacity venue — which is hosting the Davis Cup tie between Australia and Bosnia/Herzegovina this week — will be covered by a canopy by the end of the year, according to the State Government. The canopy will be fully funded by taxpayers. 1. The new tournament will not clash with the newly announced ATP Cup, which means that quality of the field won’t be diluted and we will most likely see a number of top 20 players. 2. The roof is only Stage 1 of the redevelopment and the plan is to get more federal funding to then turn this into something much bigger. The tournament is starting in less than 12 months and this is the most feasible option in the meantime to get the centre up to standard to host such an event and then further develop it. $10m just to build a roof that will only get demolished in Stage 2? This Liberal Government cries service cuts and budget deficits and then blows $50m of our cash on vanity projects that serve no real return to the taxpayer. Ummmm, where did anyone say the roof will be demolished for stage 2? $10 million sounds like a bargain to me to host an event like this for 5 years. Happy for investment into tennis and its infrastructure, but this proposal is a dud. Typical State Liberal Party investment: cheap, narrow-minded with zero long term vision. Aside from the point that I'd rather the location go to a future rectangular stadium, I would have been more accepting of this if masterplan showed this as one part of it. Exactly! I think many of you here have no idea. I would suggest someone call Cox Architecture on Monday and find out whether this canopy will form part of a redeveloped stadium. From looking at the rendering the stands could easily be demolished and a ring of seats be built around. A brilliant idea. We get a tournament first and a stadium second. Two birds with one stone. You don’t know that though. That’s assuming absolute best case scenario.